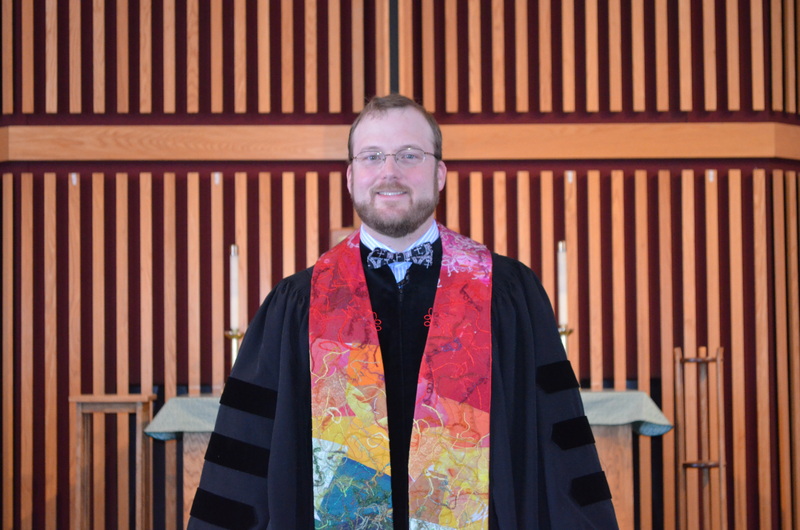 Welcome to Ankeny UCC! We hope to provide you a way to explore your faith, care for others, and serve in the community. No matter who you are or where you are on life’s journey, you’re invited to (metaphorically) walk with us on our journey together. In our sermons, you will find messages about Jesus’s love for the people on the margins in society, challenge to those of us who could live our faith in the world, and comfort for those of us in pain. And occasional invitations to in-service dance parties. In our exploration of theology and spiritual life, we always try to live by Oliver Cromwell’s exhortation to think it possible we might be wrong as we seek to understand Bible stories in their own context and history and understand how they might apply to our lives. As for me, I was born and raised in Iowa City before moving east for college at Yale, a time working for a variety of software and telemedicine companies, and Harvard Divinity School. I worked in Western North Carolina for a few years and returned to Iowa in 2013. If you want to join me in my interests, I invite you to come work with A Mid-Iowa Organizing Strategy (AMOS), a local faith-based community organizing group currently working on issues of mental health access in Ankeny. Or to talk about Homebrewing, wrestling, the Chicago Cubs, or snooker. And if you have interests in the history of science or book history, I invite you to come and talk with my wife, Dr. Elizabeth Yale, a lecturer in the University of Iowa Department of History. She continues a long family association with Iowa City, the birthplace of her mother and husband. 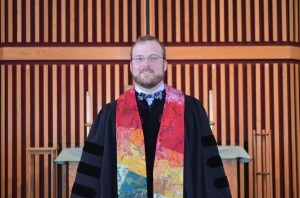 Whether you are interested in joining our church, in being married (I am privileged to perform weddings on an equal basis), or for spiritual or theological exploration, I’d love to hear from you. You can email me at pastor (at) ankenyucc.org . Do you have interest in singing a variety of styles of choral music? Join our choir, led by Laura Beckwith! Nancy is in her second stint as Organist here at Ankeny UCC, and keeps our voices backed and strengthened most Sundays.